Myth, mother of the puppies, is on the right. Myth’s mom, Josie, is on the left. 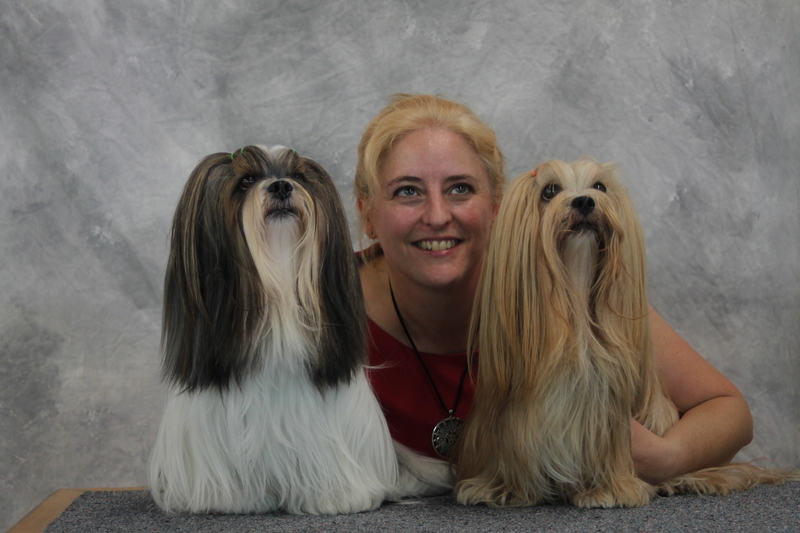 And that’s Melissa – breeder and owner of this current litter – in the middle. If I remember correctly, this photo was taken in anticipation of both Myth and Josie heading off the AKC Agility Invitational two years ago. Both Myth and Josie are Grand Champions and MACHs…which stands for Master Agility Champion. This year both are again invited, along with Ella, who is the puppies’ paternal grandmother. Pretty ladies! Smart ladies!